Yay, I’m totally recovered from a cold! 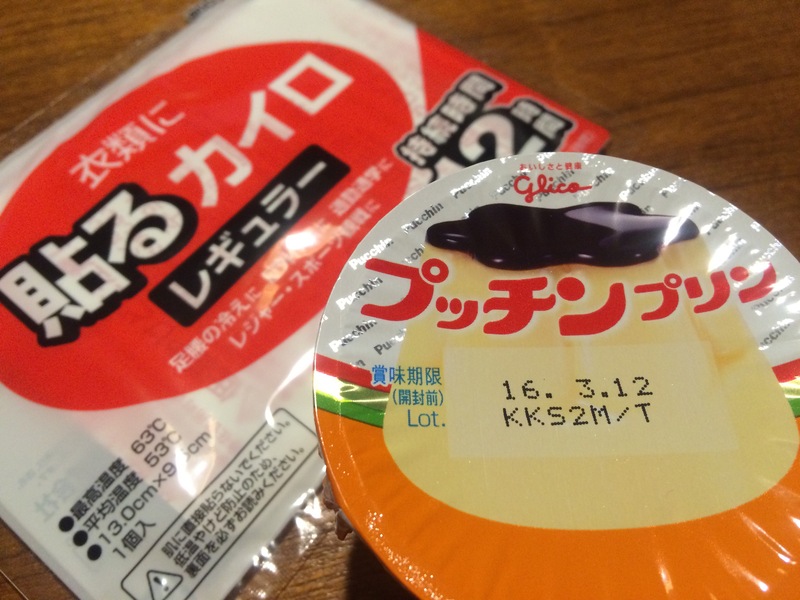 So I want to intorduce the recipe which might have helped my recovery. 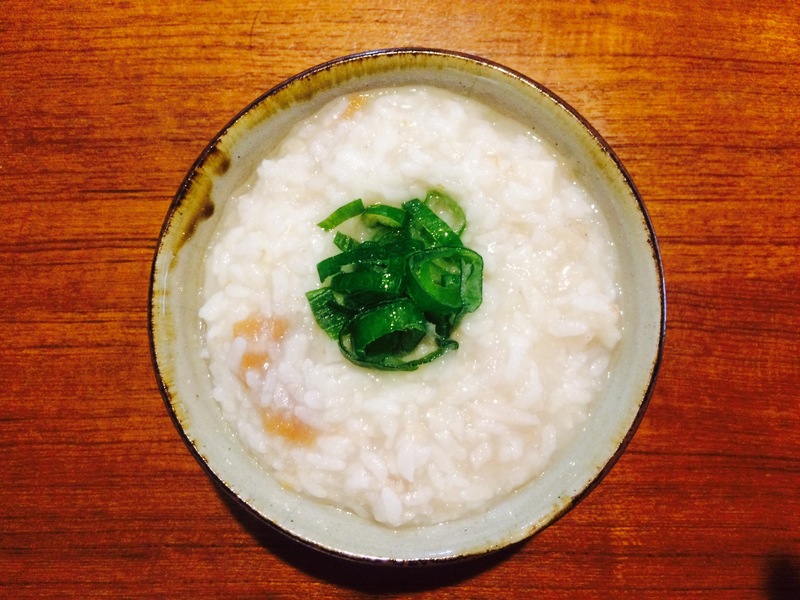 As I explained in my last post, rice porridge is a popular meal for colds. This time, I added everything in my fridge that is effective to warm one’s body and help the immune system in it! 1. Simmer cooked rice and water in a pod. 2. Add grated lotus root, chopped umeboshi and grated ginger. Simmer for a while. 3. Serve in a bowl. Top with sliced green onion. 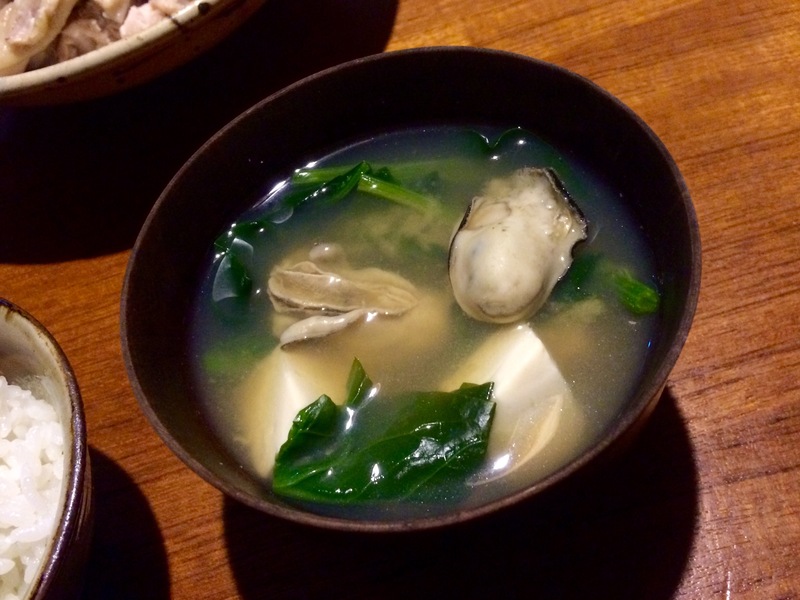 Cut spinach and tofu, cook them in boiled broth with clean oysters and add miso paste. Nanohana (canola flowers) is one of the vegetables that tell the coming of spring. Like other representative spring vegetables, it tastes a little bitter because of the alkaloid which helps detoxify the body. Cut nanohana and aburaage, cook them quickly in boiled broth and add the miso paste. 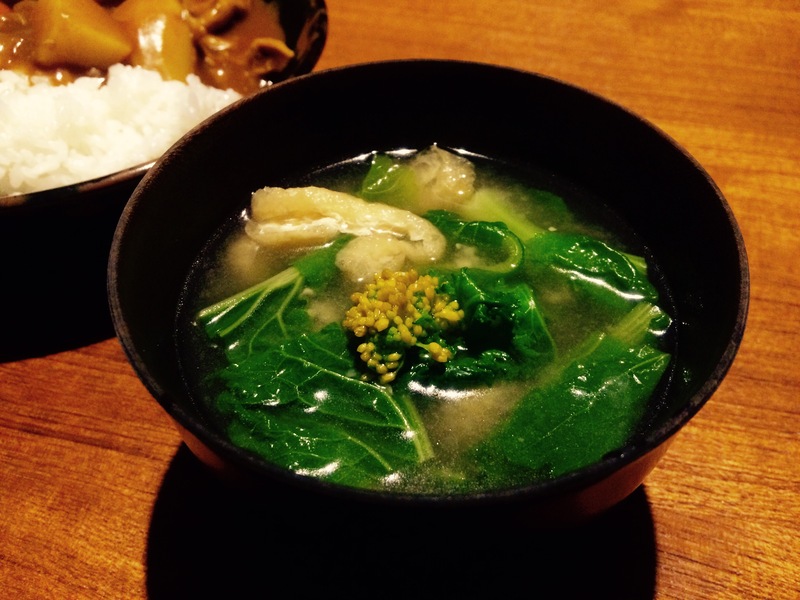 Spring has come in my miso soup bowl! I love the green color of cabbage – it brightens up the table. 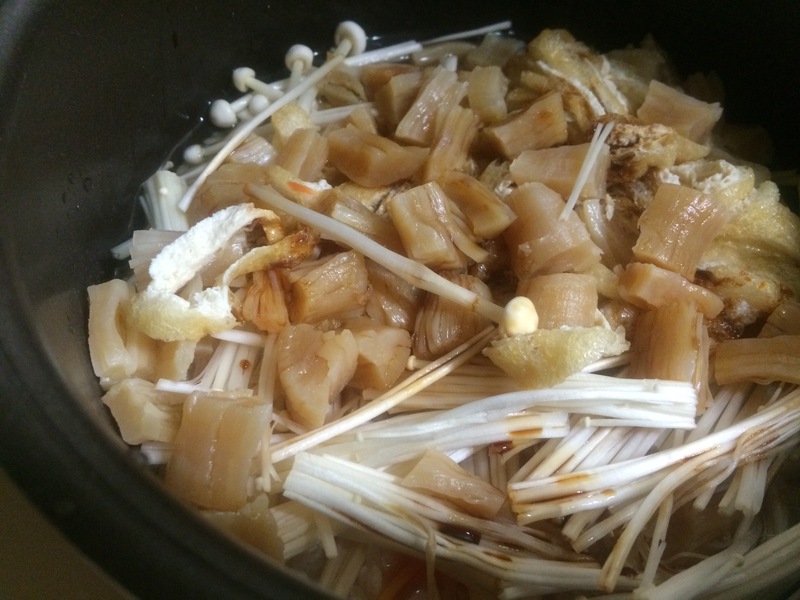 Cut cabbage, tear maitake mushrooms, boil them in broth and add miso paste. It’s worth making takikomi-gohan if you have a chance to get nice dried scallops. In Tokyo, you can fine them in the Tsukiji Outer Market or Ameyoko Shopping Street. Soak dried scallops in water till soft (at least 3 hours, overnight if possibile). 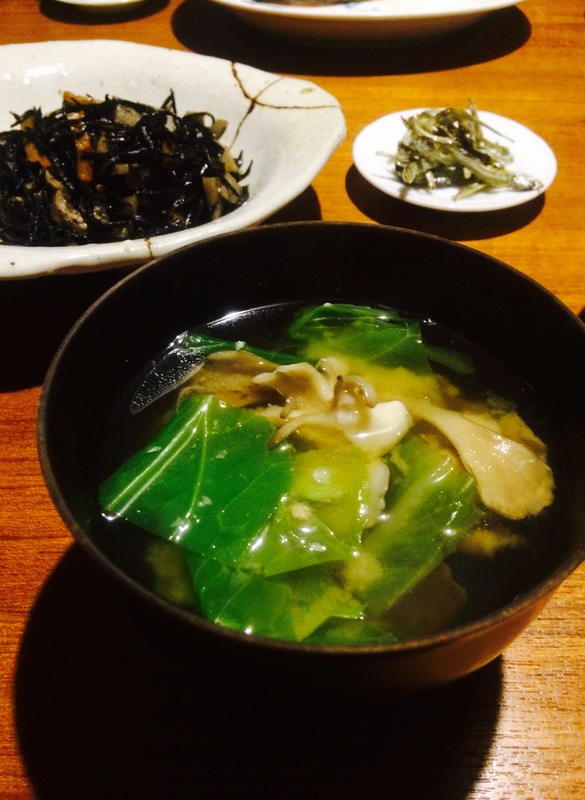 Don’t throw away this water as it will be used as dashi. Measure and wash rice to add in a rice cooker. 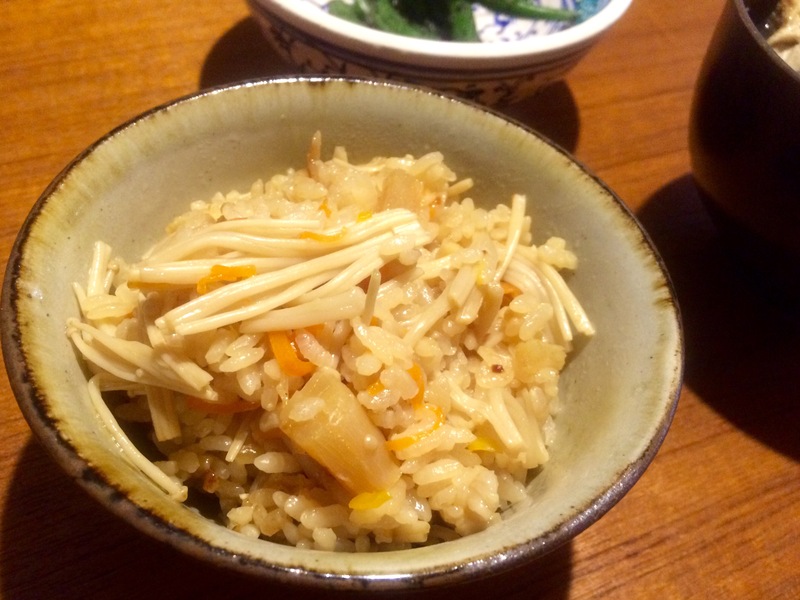 Cut enoki mushrooms, aburraage and carrot. Add in the rice cooker. Add water, sake and soy sauce and cook. 5. 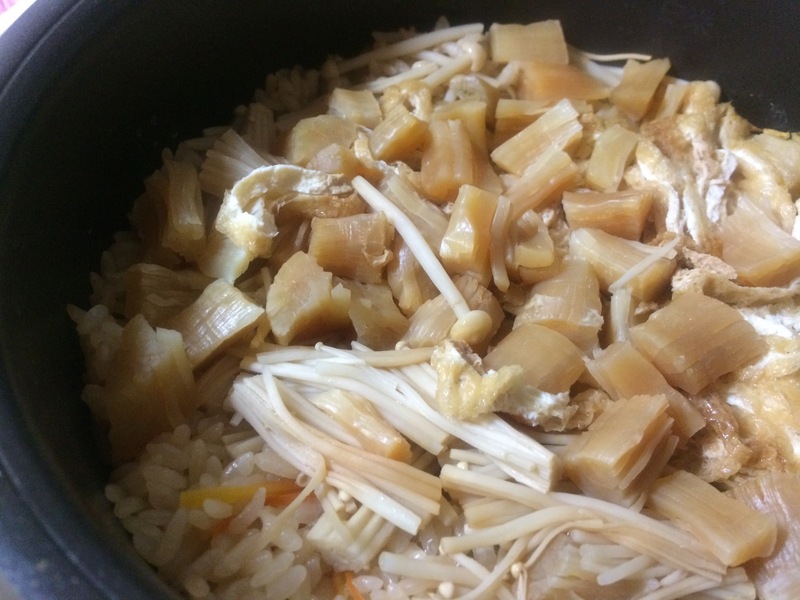 Once cooked, mix well and serve in a rice bowl.